Are you busy scratching your head frustratingly in confusion of what to get for your beloved hiker this festive season? That marry time of the year will come sooner than you think, and that the best thing you can do for your outdoor explorer is to find an appropriate gift on time and excite him or her with the best gift ever. But then, it is not that easy to buy gifts for someone if you don’t exactly know what he or she likes. You’re not sure where to start and you have only a short time for choosing a perfect gift for your beloved hiker? Relax, many of us have once fallen in that confusion, until we did an intensive research about the preferred gifts for hikers. Having spent a considerable time in outdoors, participating in backpacking and hiking, we fully understand the needs of hikers and the variety of their gifts. With hikers, you need to take time to understand their passion and their needs, and figure out what will make their activity an absolute breeze. Obviously, you don’t want to waste your hard-earned pennies on a gift that will not be appreciated just because it isn’t relevant. After all, it shouldn’t be that stressing to excite your outdoor enthusiasts, this festive season, as you only need to understand their activities and the kinds of trails they traverse on, as well as the inclement weather conditions they get submerged in. To help you in that pursuit, we hand-picked the best gifts for hikers and reviewed them in this article. The aim was to narrow your search down to the most prestigious gifts that your hiker would certainly love. Before we dig in into our carefully selected gift ideas, let us first give you a few tips on how to choose the gifts for a hiker. 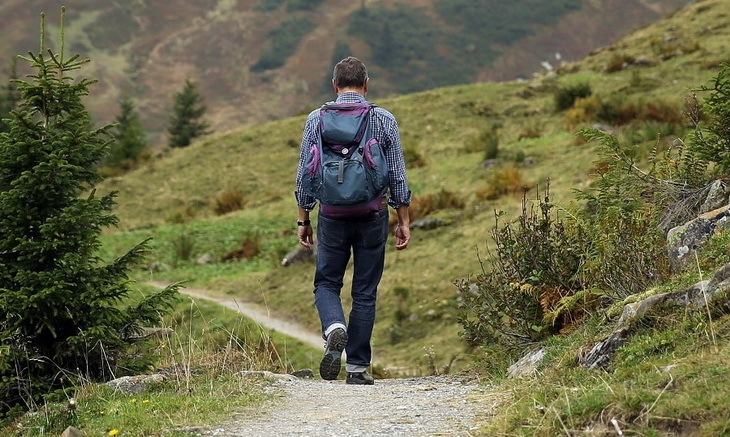 You don’t need to be a hiker in order to buy suitable and heartwarming gifts for hikers. Instead, you need to understand what their activities demand. Once you have that covered, you’ll be able to choose, for example, the right multi-tool sets, hiking boots, track-finder devices, and other hiking related accessories. But, of foremost importance is to familiarize yourself with the types of trails, types of destinations they visit, as well as sizes, preferred season of hiking, and their frequency of hiking, which calls for only durable gifts among other qualities. You should take into account the trails that hikers mostly use. For instance, some steep terrains of high-peak mountains may be slippery, thus hard to climb. Isn’t that an idea itself that pretty much explains which gift you should get for him or her? Of course it is. How about the traction cleats that can be affixed to the hiking boots to help reinforce traction when traversing or climbing slippery trails? That’s certainly a yes. It will not only be a worth-considering gift but a life-saving effort because many hikers get injured walking on rough terrains. Furthermore, hiking on snow can be adversely dangerous, but, if you buy the traction cleats as a gift, you will prevent bad things from happening. Also important to note is their need to find direction to their desired destinations when hiking. We know the modern world has brought the prevalence of GPS handsets that most rely upon in giving them directions. But then, what if the device runs out of battery or there is a poor signal? It means the explorer could get lost in the wilderness. 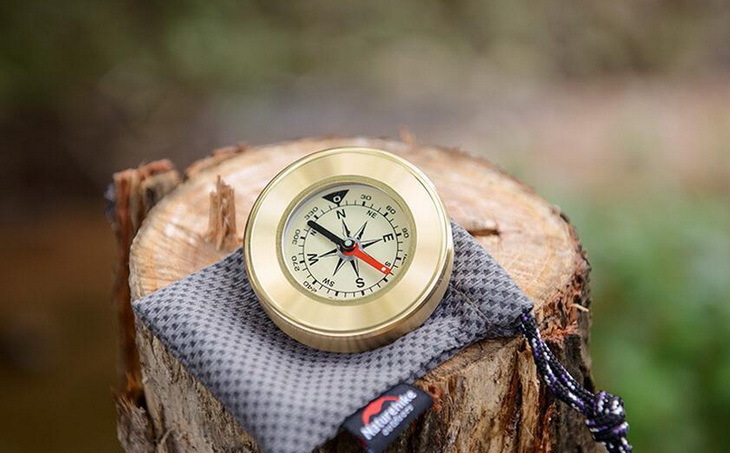 You can come to the rescue by purchasing a traditional compass as a gift to help the explorer find the desired directions. That could be one of the greatest gifts for the festive season. It is also worth to know what kinds of destinations they love. Some destinations, for example, are frequented by inclement temperatures, but are nonetheless worth exploring. In that case, a 3-layered, yet breathable hard-shell jacket wouldn’t be a bad gift after all particularly for winter travel. You can also consider buying hiking boots that have a better grip. Oh wait, did we mention anything about the multi-tool, stainless steel that is often worn on the wrist? This is not a gift to be overlooked, especially considering its multi-functionality and its diversity. From screwdrivers, can openers, a pair of scissors to portable knives and razors, you can find them packed in a compact and rugged multi-tool gift. You never know what the explorers come across along the way. 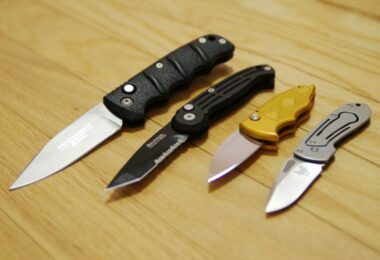 On average, hikers despise carrying heavy tools such as big knives or screwdrivers to their outdoor adventure. Buying tiny, yet effective and high-performing tools will certainly excite them. We have also hand-picked the best multi-tool below known as the Leatherman’s Tread Bracelet in case you find this idea fascinating. Furthermore, the tent can also be appreciated. Hikers often explore the wilderness for more than a day, and that means they need a place to rest at night before they continue to other explorable destinations. What they prefer is a sturdy, ultralight, and durable tent, with all needed functionalities. It could be disappointing to surprise someone with a gift that is either too large or too small for them. That said, you need to know the exact size first. 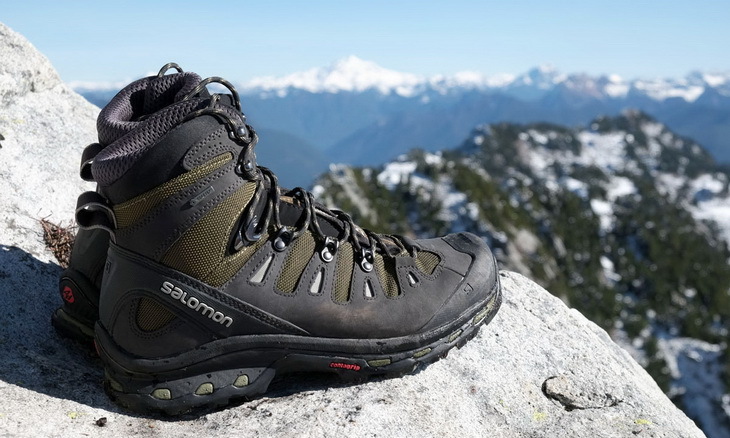 In most cases, like buying traction cleats for hikers, you need to buy larger sizes than the normal size so that they can fit well on the hiking boots. But when buying apparel and boots, you have to know the exact size. If that’s meant to be a surprise, don’t worry, you can ask their close companions such as the couples or close families that which size does your gift recipient wear. Outdoor enthusiasts that frequent hiking need durable and reusable gifts. No point to be delighted by disposable gifts that could probably lasts you a day in the outdoors. If you know that your explorer frequent hiking, then take time to buy long-lasting gifts. For example, it could be a great idea to consider the Black Diamond’s trail trekking poles that you know they will last for many seasons to come. 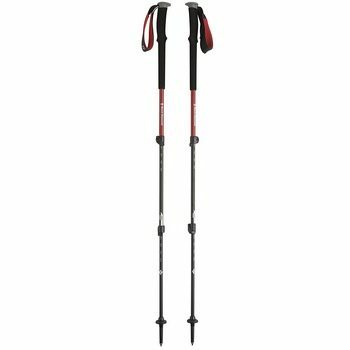 With these trekking poles the explorer will enjoy climbing and traversing on whichever rough terrain they take. Did I leave anything important to consider before buying gifts for hikers? But in case I did, you can get in touch in the comment sections at the end of this review. Without any hesitation, let’s delve into the gift ideas I have hand-picked on your behalf to put the smile on your beloved enthusiastic explorers. You don’t have to spend tons of money when buying a perfect gift for your beloved hiker. What is great about hiking items and gear is that you can find something great for less money than you planned on spending which is a great thing because you can buy two gifts instead of one. If your budget for a great gift is higher then we’re sure that you’ll also find something that is top-quality. 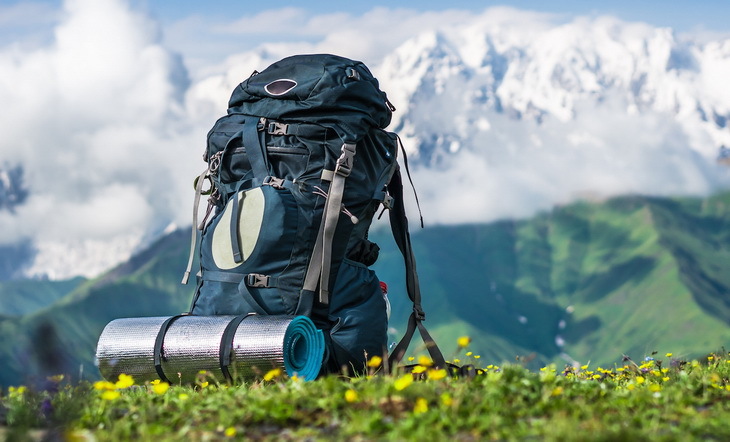 When it comes to buying a perfect gift for your beloved hiker, there’s many options and things you need to take into consideration. It is important that you know the needs of the person and what are the best hiker gift options available on the markets. This is why we summarized several gift idea before you finally decide on which item is perfect for your loved one. Description: With 29 multi-tools that include, among others, screwdrivers, carbide glass breaker, hex drive, box wrench, bottle opener, cutting hook, and oxygen tank wrench, the Leatherman 831999 Tread Bracelet is sought to make hiking an absolute breeze. The hiker can simply wear this multi-tool and take out a specific tool when the need arises. 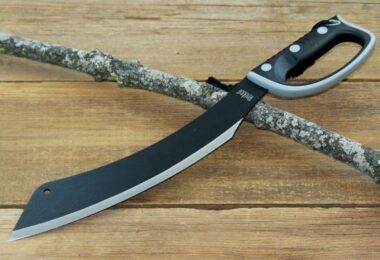 It can be regarded as a survival tool also while in the wilderness. 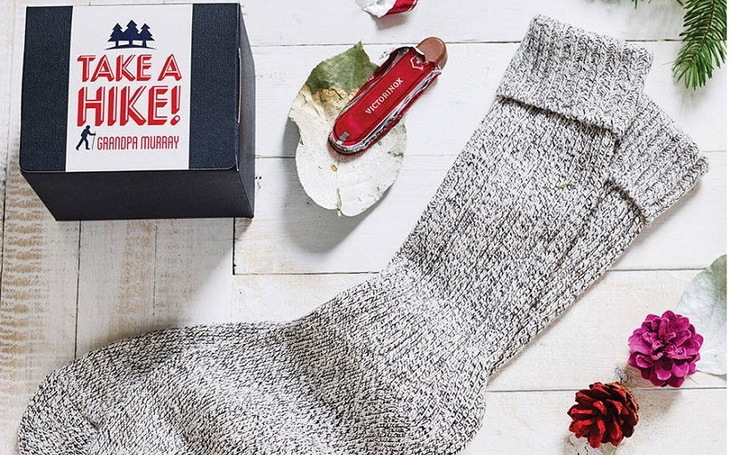 Buying this gift for your hiker could be the greatest moment of happiness because it will be wholeheartedly appreciated. It’s all because hikers despise heavy tools that could cause muscle strains to their bodies. This gift is lightweight and versatile in use. It can be worn like a bracelet to give you the comfort of wearing it without straining your wrist. 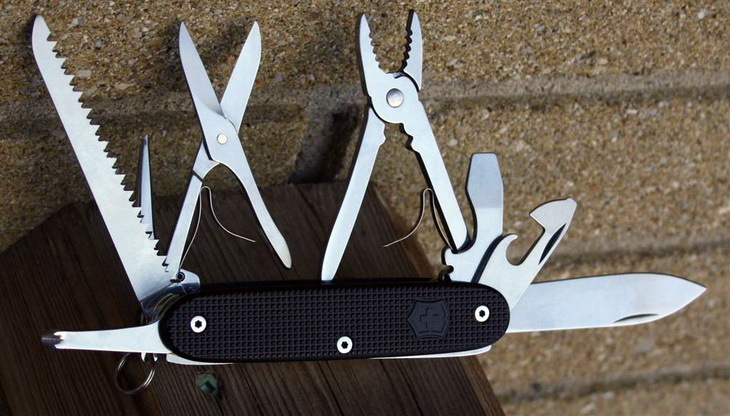 What’s enticing is that these multi-tools can be customized in 10 links to the hiker’s needs. Even more enticing is the fact that you can use them anywhere at anytime. They are not prone to any inclement weather damage because of their rust and abrasion resistant features. Moreover, the bracelet will not expose you to scratch irrespective of how many times you wear it. 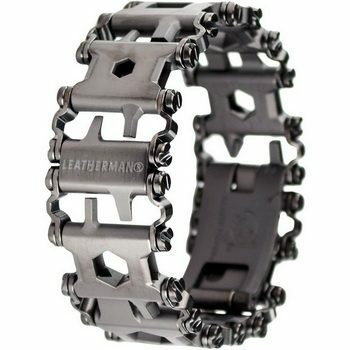 Related: Most buyers who bought this great tread bracelet also bought ChronoLinks Leatherman Watch Adapter that is compatible with all treads and reviewed bracelet. The price of this adapter is approximately $44 but bought together with a bracelet and tread will make a great gift combination. The tread is made of stainless steel to match the feel and look of Leatherman watch and tread. Specific features: Available in small, medium, large, and x-large shoe size, fits a variety of hiking footwear, abrasion resistant, made of 1.4mm high strength stainless steel coils, secured with a long-lasting rubber, provides 360 degrees of traction. Description: The Yaktrax Pro Traction Cleats is a must-have gift set for your beloved explorer because of its safety features. With this gift, the hiker will hike confidently on any sort of terrain knowing that the shaped-edge coil design is providing an unequaled traction on rough terrain, ice or snow. Slippery trails will be a thing of a past because of this well-crafted traction cleats. Whichever hiking boots you wear, these traction cleats are made of high-strength and durable rubber to hold them tightly. Moreover, the rubber foot frame is also durable to ensure multiple wear while providing stability of hiking in the wilderness. The product is furthermore weatherproof; it is rust and abrasion resistant. With these features, your hiker will certainly love this gift if you present to them this festive season. Regardless of which environment they get exposed to, the Yaktrax traction cleats will provide the much needed safety and traction stability. But, do not forget to issue a warning to the explorer that they should not wear these traction cleats in shopping malls because they might fall due to slippery. 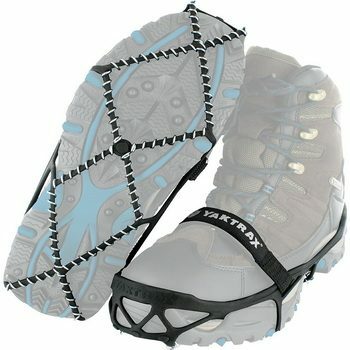 Related: If your gift recipient likes to run a lot when hiking, you can consider buying him or her Yaktrax Run Traction Cleats for approximately $30. They fit well the running shoes. If you want a perfect gift combo, then we suggest looking into these OUTAD P7964 Outdoor Gaiters that can be bought for approximately $10 – $15 on discount. Leggings come in three different sizes and, when combined with our gift-set reviewed above, will keep dirt, rocks and snow from getting into your loved one’s footwear. Description: If you are looking for a pretty solid pole without spending a lot, look no further. Black Diamond RQ9D3C Trekking Poles are also one of the best gifts you can give to your beloved hiker. They are ultra-light and ruggedly designed to give the hiker best comfort ever in the adventurous wilderness. Even more, they feature a dual FlickLock 2 pole locking mechanism to easily adjust the length in relation to the height of the explorer. The enthusiast explorer can hold these trekking holes with the adjustable 360 degree padded wrist straps. Moreover, he or she can simply switch from rubber to carbide strips depending on the type of terrain they hike onto. You wouldn’t want to miss out on these amazing trekking poles as gifts to hikers. They are relatively the best companions for every hiker. Furthermore, they have a narrow diameter, which indicates a lightweight tool, not to mention that is comfortable and affordable. Related: To extend the durability of the trekking poles, you can buy the Black Diamond IAH2HY Trekking Pole Tip Protectors at approximately $5 to reduce noise and also the Black Diamond Tech Tip (Rubber) at approximately $7 for more adjustability or to have in spare when your beloved wants to replace poles’ old tips. Specific features: Automatic synchronization wirelessly to tablets, computers and other smartphones; USB port and internet connection for synchronization with computers; water resistant; battery lasts for 5 days; call notifications and daily stats on the large OLED display; track heart rate, calories, workouts and distance; monitor sleep automatically. 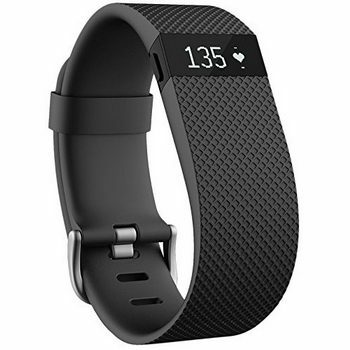 Description: In case your hiker loves running to burn calories, this Fitbit FB405BKS Activity Wristband could be the best gift to him or her. It can be used to connect automatically and wirelessly to a wide range of devices including computers. But you need an internet connection to synchronize it with the computer. Either way, it’s highly unlikely that hikers travel with their laptops rather than their smartphones, which should be easy to synchronize this gift via the Bluetooth 4.0 wireless technology. This gift works well in tracking the heart rate, the number of calories burnt, the distance traveled, and the workouts. It helps the hiker to be on track and see the progress that he or she has made so far. The call notifications and other stats can be seen on its display when you put it on your wrist. What’s more interesting is that the device is waterproof, but you are discouraged to submerge it into the water. As much as this Charge HR is indispensable for hikers, it can have regrettable side effects if used carelessly. For instance, despite its waterproof feature, it should not be immersed in water, otherwise it will cause irritation to your skin. If the explorer sweats a lot when wearing a watch, advise him or her to regularly take off this wristband to dry it out. Moreover, this wristband is not suitable for people with some skin allergies because it can worsen the irritations. Also noteworthy are those with medical devices implanted in them, they should avoid this device unless consulted with the doctor first. Take all these limitations into account when intending to surprise the outdoor enthusiast with this gift. Related: This wristband is usually bought with CAVN 4PHVV Replacement Charging Cable, a well-designed charger to fit precisely for reviewed product and RinoGear Premium Screen Protector to prevent your wristband from scratches and any distortions. Specific features: 4K video and 12MP photos; durable design; playback or preview your captured snapshots; voice control features. 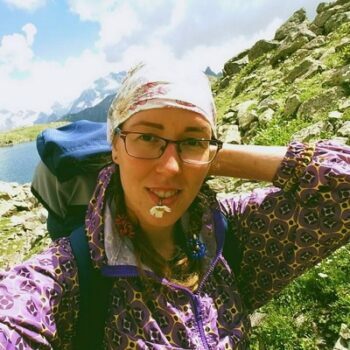 Description: Wish to see the elegant and picturesque mountains that the hiker frequents? Then buy him or her this GoPro Hero5 Camera gift so that those moments can be captured clearly. This camera records high definition video and takes clear pictures with its 12 megapixels. It has superior features such as voice control, touch display and a waterproof design. That means, no matter how harsh the temperatures, this camera will not be susceptible to any damages. It features GPS and other options such as edit and share. This way you will be able to ask for pictures at a blink of an eye if you bought the hiker this gift. The captured footage can be trimmed to remove the unwanted objects. Furthermore, the explorer will have access to the GoPro cloud account where footage will be uploaded automatically so that it can be viewed on any compatible device such as smartphone or computer. 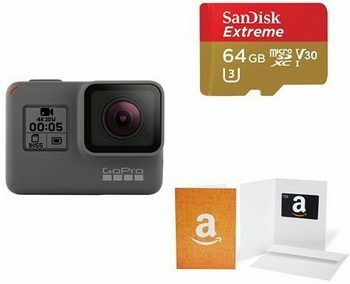 Related: For the storage of your captured moments on the camera in addition to the cloud account, you can buy the SanDisk Extreme Card with Adapter to capture more pictures and record more Full HD or 4K Ultra HD videos. Specific features: Narrow-gauge design; antidote reservoir with QuickLink system; lightweight fill port and dryer arms; magnetic tube trap, storage pocket and XV back panel; enough storage for hiking gear. 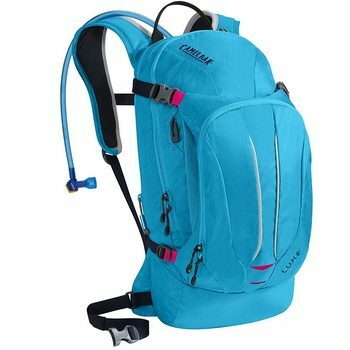 Description: For a woman hiker, this CamelBak L.U.X.E Hydration Pack is a great gift. To prevent dehydration, it has a 3 liter Antidote™ reservoir and the Quick Link™ connection system to carry water throughout hiking journey to quench the thirst. The Quick Link™ connection system is what is great about this pack as your beloved will be able to remove of the drinking tube with ease and no hassle. For storage purposes, this bag has a s-curved pocket. All the hiking accessories such as the smartphone, multitools, and jackets can be stored in this bag. It has chest straps to fit well on your chest. There are adjustable and removable waist belt to hold the bag during bumpy roads. Furthermore, the XV back panels enable the flow of air over the bag. This pack will be your beloved all-terrain friend that will carry plenty of gear and water for an entire day of hiking. Related: If the hiker adores traveling with kids, you can get CamelBak Mini M.U.L.E. Hydration Pack for them. With built in whistle for emergencies, zipped compartments and reflective strips this pack is perfect for little explorers. 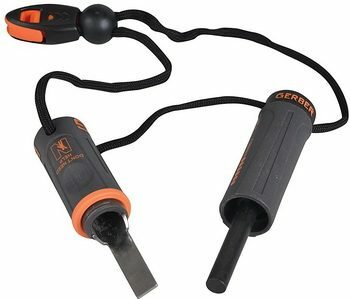 Description: The Gerber Bear Grylls Fire Starter is suitable for all hikers who plan on spending the night outdoors. It contains the ferrocerium rod and a metal striker to successfully create a very hot fire. This fire started was made in a collaboration between the survival expert Bear Grylls and the Gerber brand. It is a must-have gear for camping, hiking and scouting adventures. Considering the fact that is compact and small, this fire starter will be used for years to come. Its construction that is watertight will keep tinder dry and safe, so when your beloved hiker needs it, he or she can use it easily. Another great thing about this product that it has an emergency whistle on a lanyard for hassle-free and quick access. It is a great gift to excite your beloved outdoor adventurer with because it has everything needed to start the fire. Its waterproof design helps keep tinder dry and help lengthen the durability. 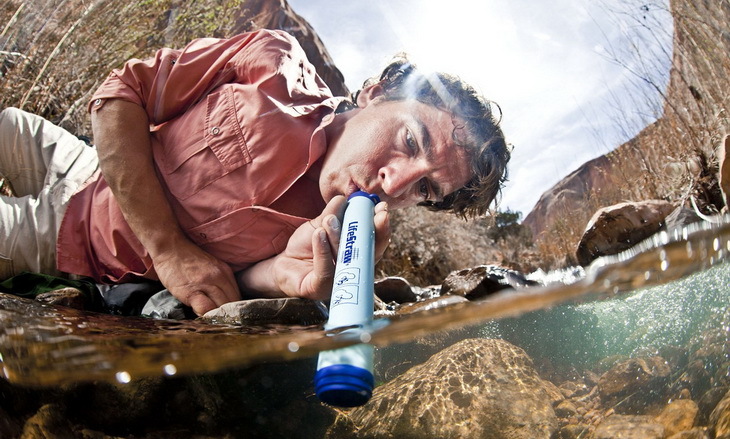 Related: People who bought this firestarter usually bought this LifeStraw LSPHF017 Water Filter also. It’s a cheap option for purifying water as it removes almost 100% of bacterias that can be found in water. 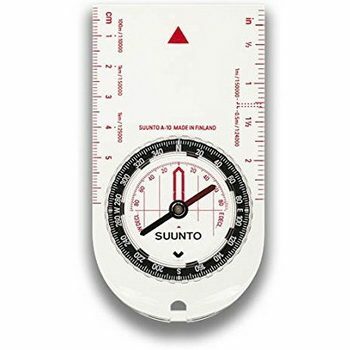 Description: The Suunto A-10 Field Compass is a perfect gift for hikers who like hiking mostly in off-trail terrains. It can help them find their tracks with ease. The product is a great replacement of GPS devices in case they run out of the battery. It comes with great features such as scratch resistant and two zones for precise and reliable readings. It’ lightweight and durable, made of the scratch-resistant acrylic material. The compass is ergonomically designed to fit in the palm, has a two-zone system to get more accurate position and readings, dual scales (inches and centimeters) and a lanyard that comes with a detachable snap-lock. It may look outdated with the prevalence of modern devices, but its importance cannot be overlooked in critical situations. The advantage is that it is affordable and dependable. So, if your beloved is preparing for the lifetime adventure, this compass is something they will surely find useful and you’ll have peace of mind knowing that he or she has a navigational, useful aid that will help him/her wherever she/he goes. Related: Survive Outdoors Longer Adventure Medical Fire Cubes will be a nice addition to your gift. If your beloved simply loves spending nights in the wilderness, he/she will surely need something to start a fire with. These fire cubes are perfect, waterproof fire-starting supply that will ignite easily in any weather conditions. The greatest ideas about gifts for hikers have been provided at your fingertips in here. Now it’s your turn to make a move and get that great gift for your beloved hiker. We have mentioned all the features and have also recommended why the gift could be suitable for outdoor explorers. Just take into account the important considerations discussed in the beginning of this review and worry not because you will make an excellent choice and your hiker will love it! Have we left any important gift unmentioned? Do you maybe have some questions? Please let us know in the comments section below.